Over the past 15 years I’ve heard lots of people saying wonderful things about Sydney Flower Market but never made an effort to go until last month. It’s not like I don’t like flowers. Let me just tell ya: Procrastination rules. 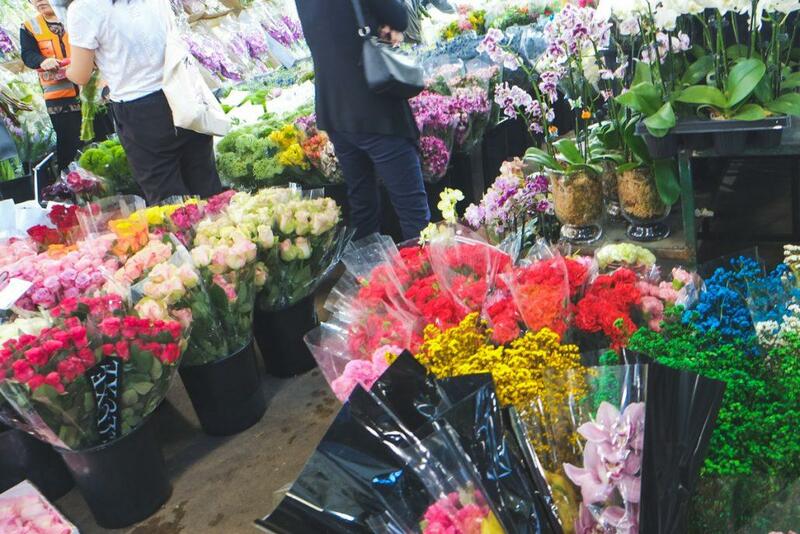 Ok so I finally went to Sydney Flower Market on a Friday morning around 8:30 am despite the general advise that you need to be there in the early morning – 5 or 6am kind of early. In my defense, I got up early that morning but I had to spend 2 hours at home to have a full breakfast and commit to a long Yoga-stretch session. Why? Because I felt the urge to stick to my morning routine that day. Anyway, at 8:30 -9am, there were hardly any people left in the market. The market hall looked wet and empty and not so appealing. Those left over flowers were cheap – Tiger Lilies for $5 a bunch, though they looked a little sad to me. I left the market empty handed, thinking it might be a while till my next visit. Two weeks later a friend of mine got in touch and wanted to catch up at the Sydney flower Market on Saturday morning around 6.30am. Perfect! So we went together, except this time we were late again. Learning from last time’s experience, I ditched my breakfast and stretching session in the morning but my friend overslept a little:). Fortunately, when we got there at 7:30am, the flower market was still full of people, and full of gorgeous flowers too! 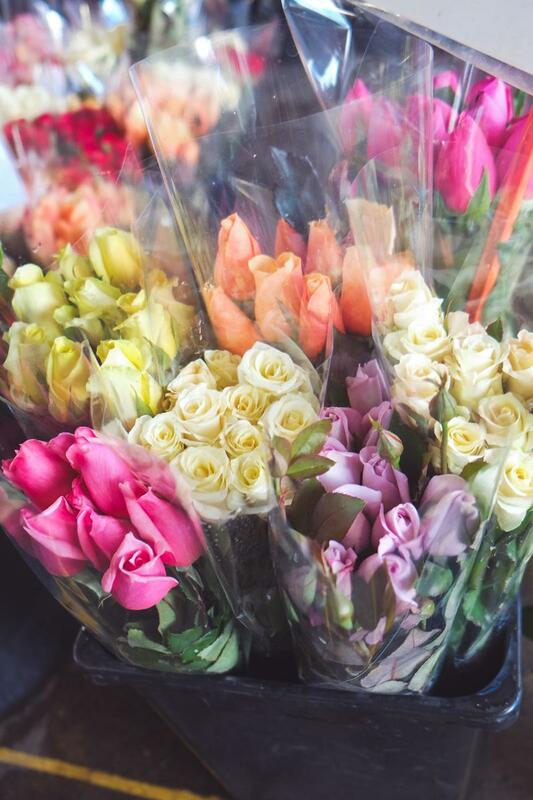 Who could resist those precious roses, at $4 a bunch? Peonies? Not quite like those ones in instagram photos but I guess they are out of season now. Determined to grow flowers at home, I even got 3 pots that week. The next Saturday I went back and got another 4 pots of different flowers. It’s totally addictive! Until now, I’ve managed to keep everything alive. Surprise, surprise. 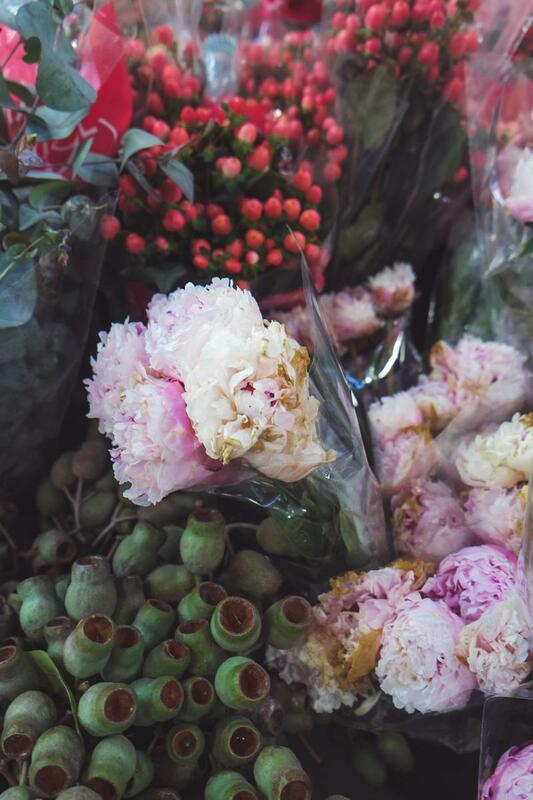 From my personal experience, it’s better to go on a Saturday morning if you are planning your first trip to Sydney Flower Market. It’s catered for the general public on Saturdays, therefore you don’t have to battle with florists and get there super early. The prices are amazingly reasonable, for buyers. 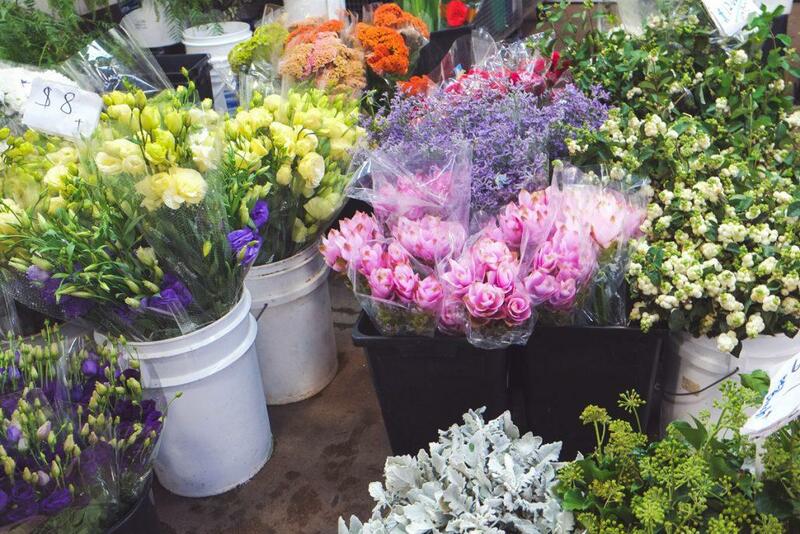 You could even get a beautiful, big bunch of flowers for as low as $1. 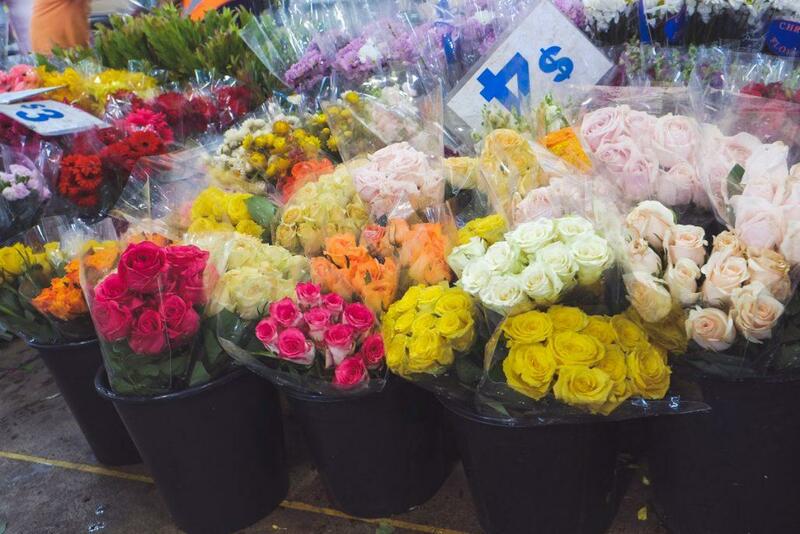 If you love flowers, you’ll love the Sydney flower markets.